Finally, it’s time loggers gave themselves a pat on the back for their total commitment to safety, irrespective of what those in places of authority might think. Well done for this huge effort by contractors, their men, forest owners, and all associated with forestry. We are now number three on the list of work-related deaths. This is great news, and we can head into the New Year with a positive attitude and continue to bring our industry into a good light. I’ve had discussions with loggers about goals to achieve in health and safety and although we can aim for 100% accident-free, this will unfortunately never happen—that’s just the nature of the beast. 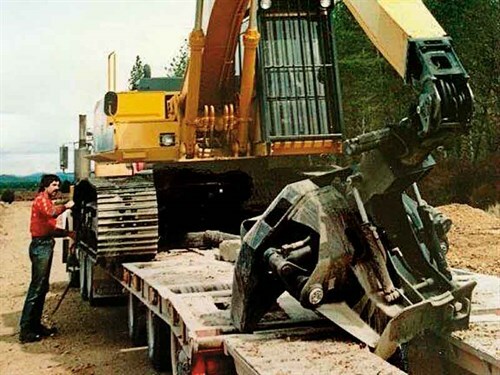 Late last year, Worksafe CEO Nicole Rosie raised concerns about the number of deaths in forestry involving machines. This was inevitable ever since there has been a push to get men off the ground with chainsaws and into machines. The mechanisation drive has never stopped and looking at the sophisticated machines on logging sites today is a credit to all those in the industry. It’s been 28 years since I introduced the first production Hultdins 850 felling head into forestry on the front of an EL200 Cat excavator. The Hultdins has now been superseded by other brands and it’s hard to tell the difference between new and old. 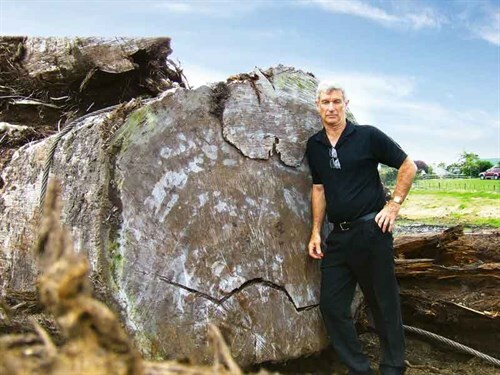 The cost to the logging industry to change to mechanisation has been in multi-millions of dollars, so as a by-product, loggers have been asked to produce bigger volumes to offset this cost. 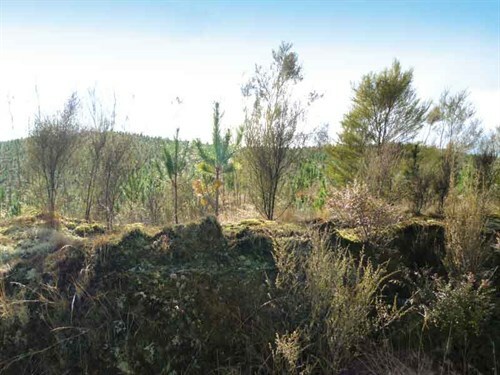 If the logging cost had got out of control then, New Zealand would not have been able to compete for markets overseas. 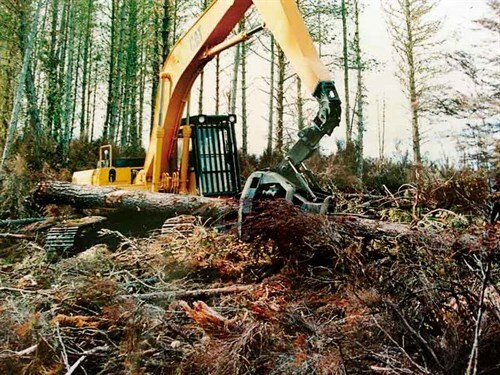 In my opinion, Nicole Rosie’s comments were uncalled for, as loggers have put their best foot forward to develop machines to suit our forestry conditions. Through this development stage, there are always going to be teething problems, and the industry continues to strive to make the workplace safer. But in saying this, we must not forget that we will always need a man with a chainsaw, and finding a qualified crosscutter is getting harder all the time. If I had a choice between grabbing a chainsaw and heading off down some steep slope dropping trees all day and sitting in an air seat, with the air-con and stereo going in a machine, the machine would win. But there are bushmen out there who still love the challenge of crosscutting. Because of government policies about apprenticeships, wage restrictions, and forcing New Zealand industries to be competitive with overseas countries, we now have a huge shortage of tradespeople, including loggers, with staff poaching now rife throughout the industry. There is nothing more frustrating for a contractor than to take on an untrained worker, spend thousands of dollars investing in, and training them only to find that another contractor has offered massive money for them to switch sides. Money is not everything. Some would disagree, but if you’re on a good remuneration package in your current employment and you get offered more money somewhere else, would you not stop and consider and weigh up what you might be leaving behind? If you think you’re good, why not approach your current employer and discuss a pay rise or a bonus on production? Working in a good crew with an excellent culture where you are supplied with the best of equipment and work gear all adds up. If you have a good job, look after it and the rewards will follow. The agriculture industry had nine deaths in 2017 with a big percentage attributed to quad bikes. There were 124 deaths over the last six years. This does not make good reading. Construction over the last six years lost 35 people and forestry 33. Sadly for forestry, in 2017, a number of fatalities were related to machinery, and with more machines now operating, this was bound to happen. Loggers have worked hard to introduce machines to do the work of men, so do we need more emphasis on driver training? The target will not change: 100%-accident free will always be the goal. Learn from our mistakes. The industry is still growing and will not stop. In 2017, $2.4 billion worth of wood was exported up until November. China has cut back on its own harvest plan, reduced tariffs on imported wood products, and accounted for $1.8 billion or 75% of our softwood exports. One thing we cannot do is blame the Government or ask them to intervene to make the industry safer. Loggers are doing an excellent job of making their industry a safe place to work, and as word gets out, this will encourage more people to join the industry.